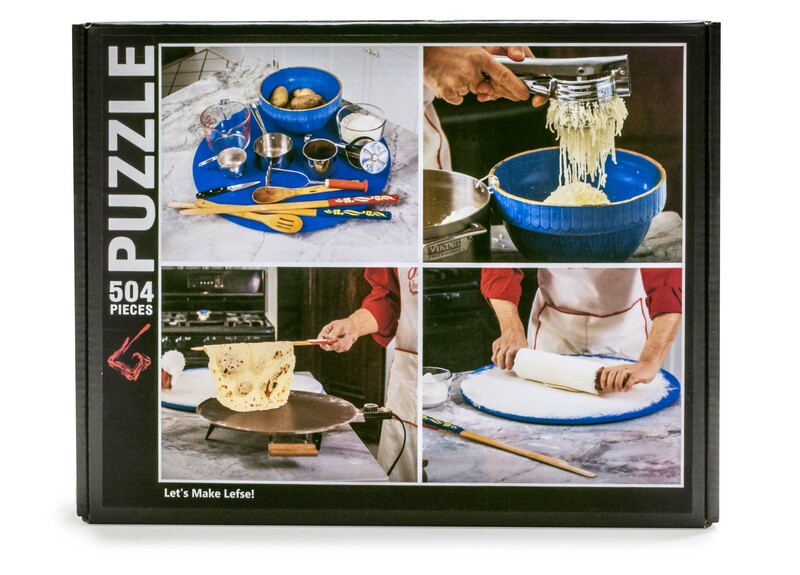 This is 504 pieces of lefse fun! 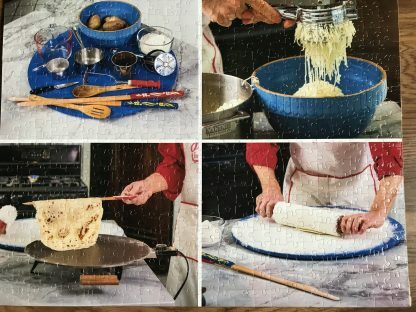 It’s the only lefse jigsaw puzzle in Lefse Land, and it’s perfect for the whole family to do before, during, and after making lefse. 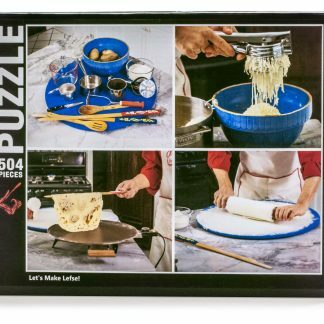 Challenging enough for jigsaw masters yet fair enough to hold the interest of the younguns, the colorful Let’s Make Lefse! 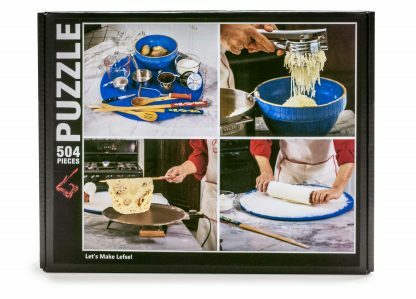 Jigsaw Puzzle is packed with laughs, memorable moments of “Aha!”, and hours of family fun — just like lefse making!